April 19th is National Garlic Day, but who really needs an excuse to enjoy this amazing allium? Every year, there are more new garlic products available, from sweet-savory Black Garlic, to pre-peeled garlic cloves, to green garlic to Elephant Garlic. With a name like Elephant Garlic, you’d assume a big and bold garlic flavor. But those who know this allium know that Elephant Garlic is milder and sweeter than regular garlic. Essentially, it’s the non-garlic lover’s garlic. 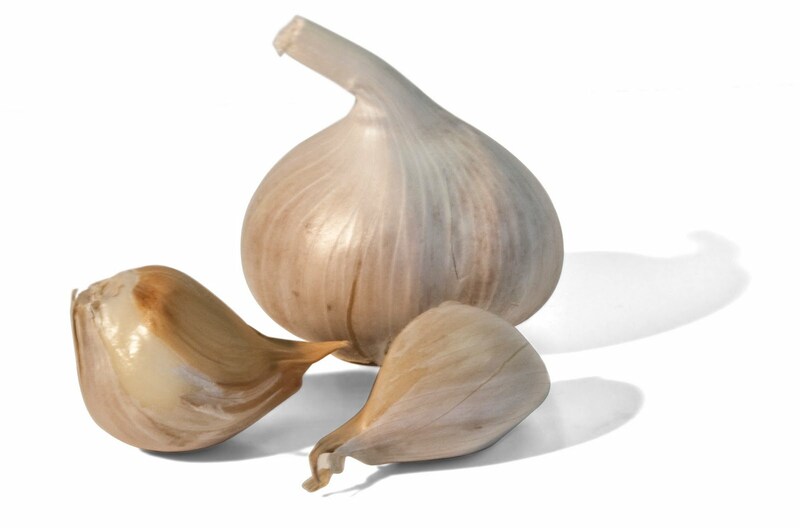 Look for this U.S.A.-grown, extra-large and mellow garlic at supermarket produce departments. Technically, Elephant Garlic is not a true garlic. It is in fact a leek variety (Allium ampeloprasum), but the name “Elephant Leek” just doesn’t have the same appeal. Whatever you call it, Frieda’s Elephant Garlic is mild enough that you can slice the cloves, sauté or steam, and serve them as a vegetable. Or, you can use them in any recipe that calls for garlic, without worrying about the recipe becoming too garlicky. The large cloves are easy to peel, chop and grate, and become mouthwateringly succulent when roasted and spread on fresh bread. The mellow garlic flavor complements a variety of ingredients, from tomatoes to potatoes to meats and beyond. Place Elephant Garlic bulb (skin on) in greased shallow baking pan. Bake at 325 degrees for 50 to 60 minutes, or until very soft. Cool 5 minutes. To serve, removed cloves, loosen skin and squeeze the contents onto baked potatoes, vegetables, French bread or broiled poultry. Makes a great appetizer or snack! Wrap bread slices in foil; heat in a 350-degree oven for 15 to 20 minutes or until hot. Meanwhile, in food processor or blender, place oil, dried tomatoes, roasted Elephant Garlic, chopped basil, and pepper; cover and process until nearly smooth. Serve mixture to spread over hot bread slices; garnish each bread slice with a basil leaf. Serve hot. Makes 1 1/2 cups spread; 18-20 pieces.